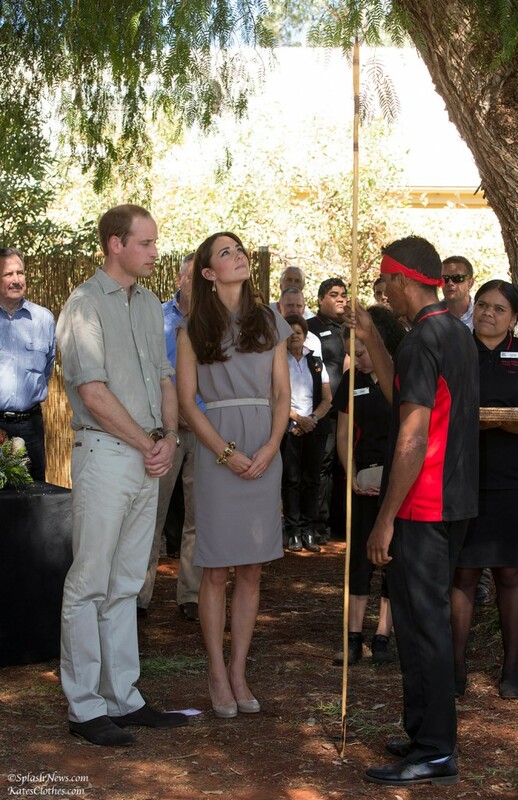 The Duke and Duchess flew the 3.5 hours from Canberra to Uluru, leaving George with his nanny at Government House. Their first stop was the National Indigenous Training Academy, where indigenous members of the community receive training in the trades associated with the local economy. William and Kate presented diplomas and received souvenirs as gifts, including a chunky, hand-painted bracelet made of seeds, which Kate can be seen wearing in some of the photos.